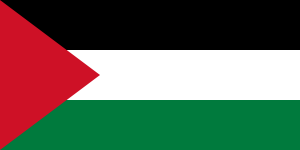 The State of Palestine key 30th ICC State Party to ratify Kampala Amendments: On 26 June 2016, the State of Palestine deposited its instrument of ratification of the Kampala Amendments. With 30 ratifications achieved, all that is needed now is for ICC States Parties to take an activation decision on the Court’s jurisdiction over the crime of aggression in 2017. This is a historic day! We are now one step closer to a permanent system of accountability at the international level for this supreme crime.